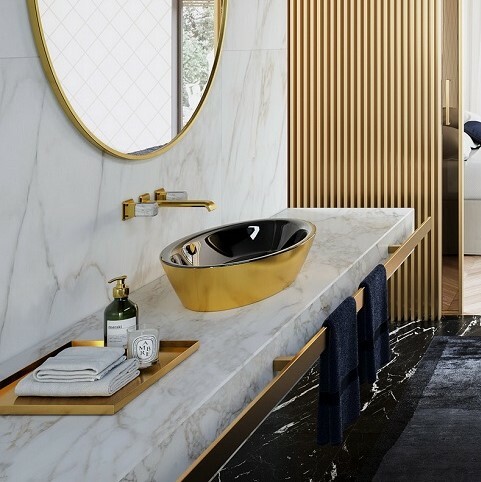 In this edition of Bathrooms In Focus we take a look at how you can express your personal style & add character to your bathroom by using the latest trend colours.with these design options, to create your own bathroom oasis. 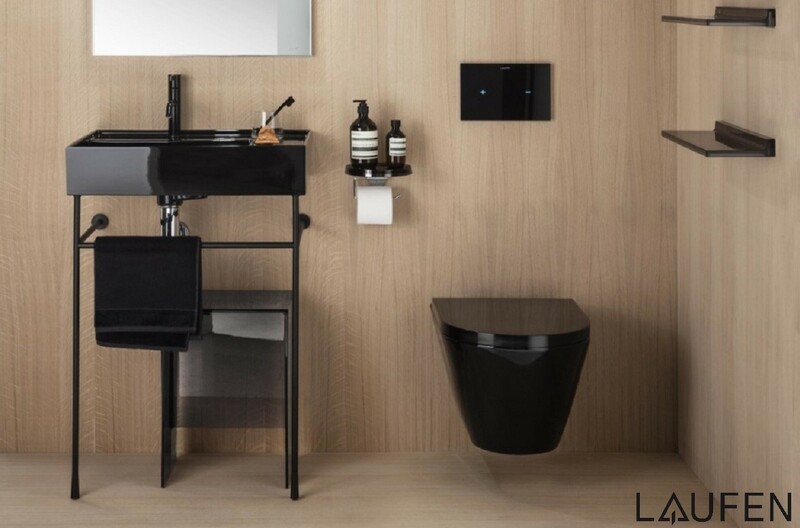 Introduced in the new Kartell by Laufen bathroom is the revolutionary SaphirKeramik, a material that allows performance characteristics that were previously unthinkable. 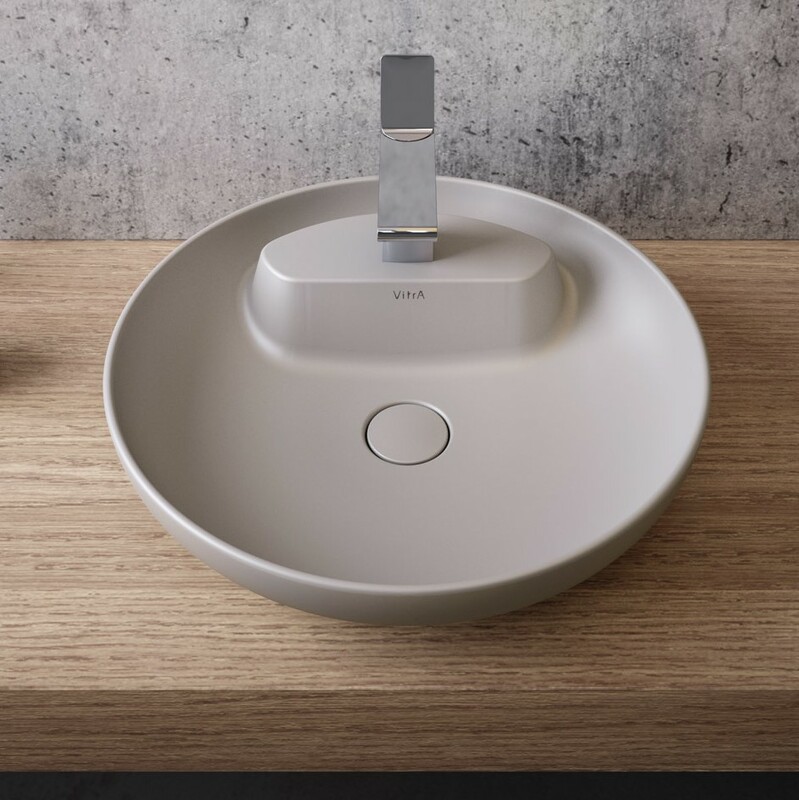 A material twice-as-strong, more ecological and thinner than ceramic. 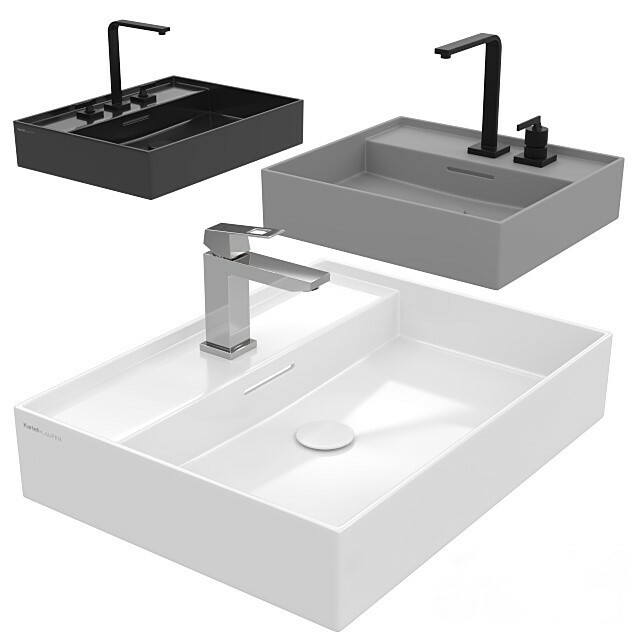 Available in Glossy Black, Matt White and also Matt Grey, Matt White . 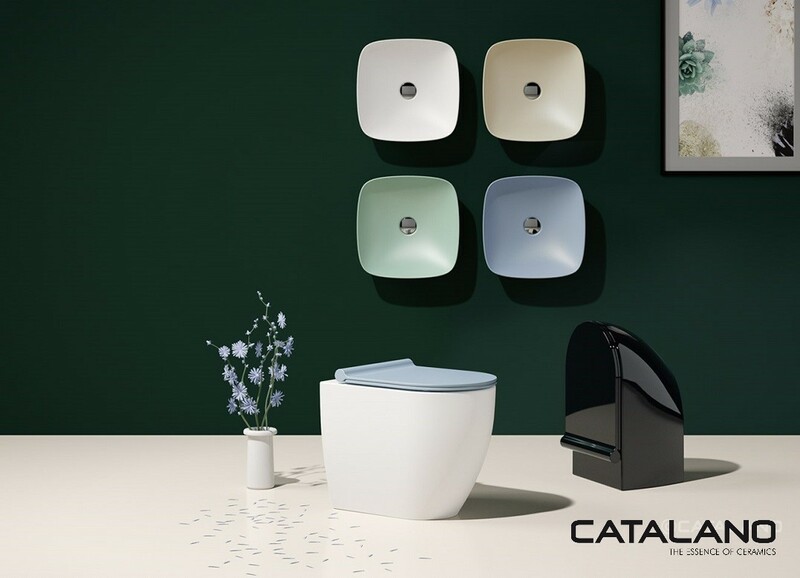 Catalano’s Colori, Green Lux, New Zero, Gold & Silver collections give new possibilities for personalising the bathroom. 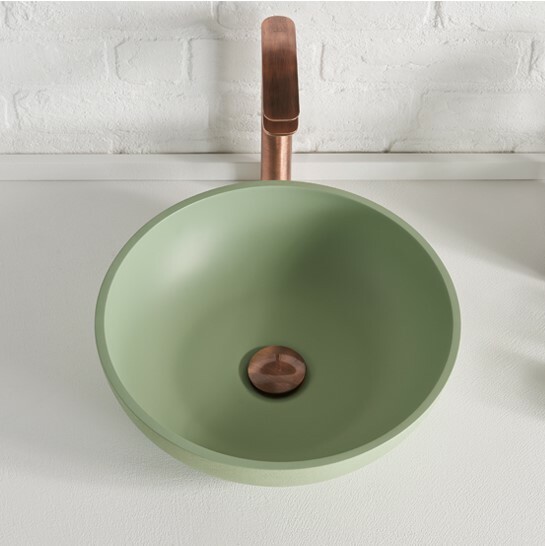 Their coloured glazes are unique & guarantee high resistance to abrasions, acids & thermal shock. 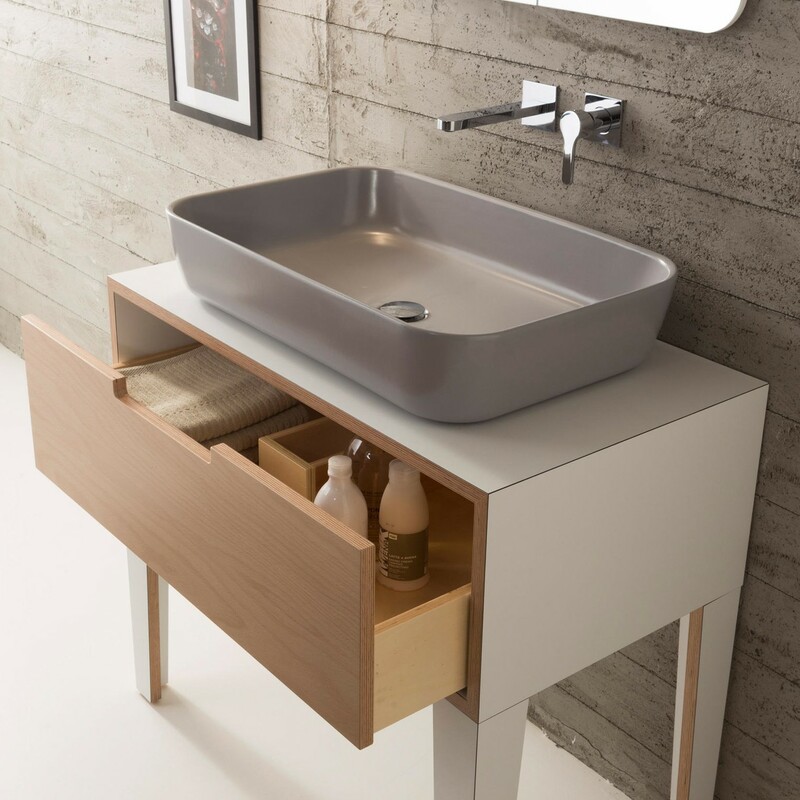 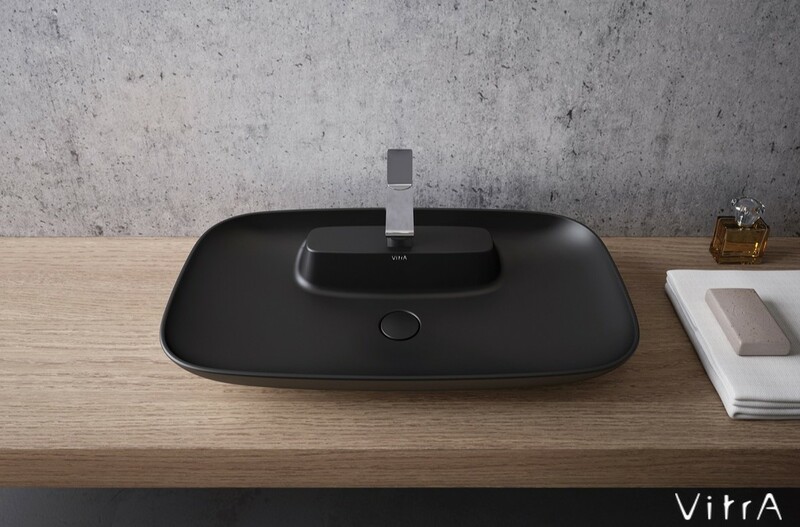 Scarabeo’s philosophy is to make the washbasin the focal point of the bathroom, to make every effort to come up with new ranges / models for an increasingly demanding market. 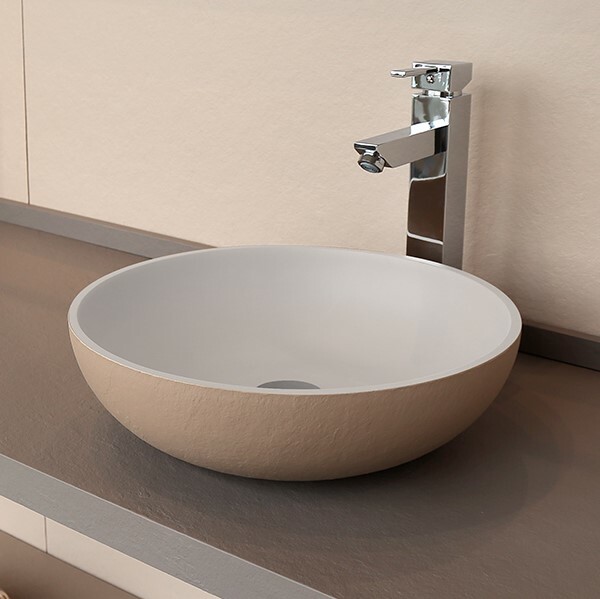 Concentrating more on the quality and uniqueness of the products than on large quantities. 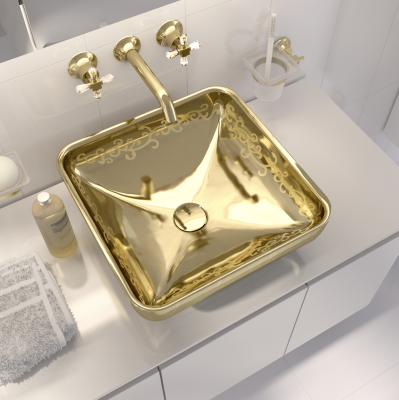 Adding a range of colours to further embolden this uniqueness. 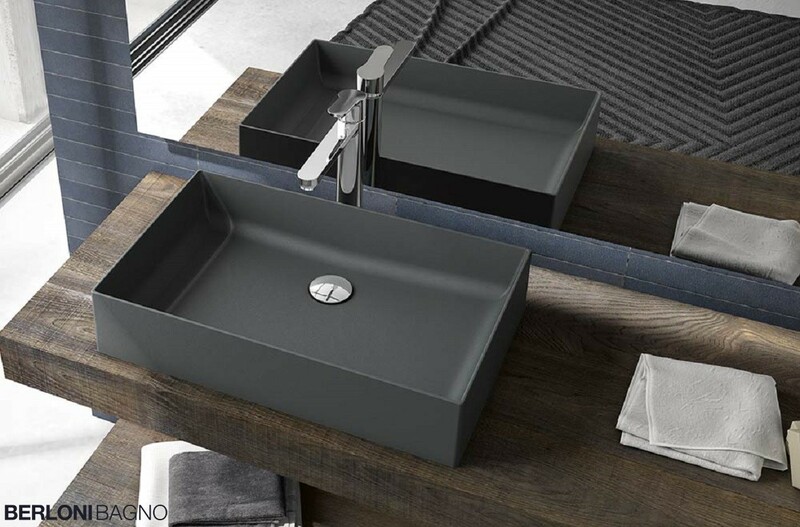 Acquabella’s On-Top collection are presented in Slate and Beton textures on the outside so as to preserve a natural & comfortable environment. 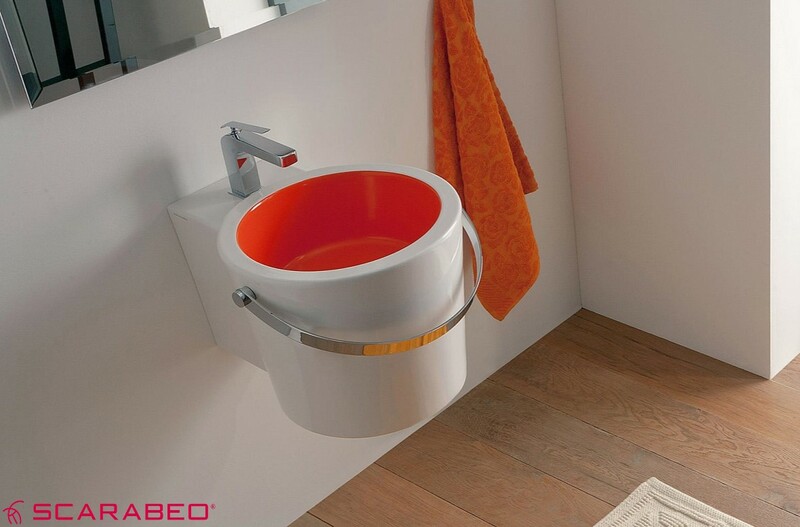 With the On-Top-Colors version Acquabella combine smooth white interior finish with the colour you want on the textured exterior. 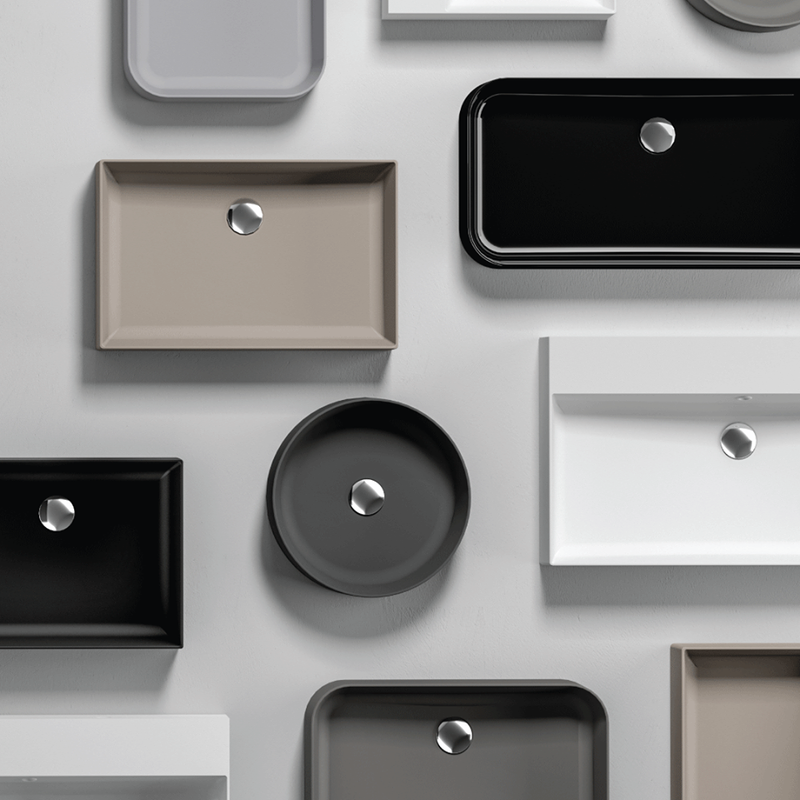 New shapes, new sizes and new colours. 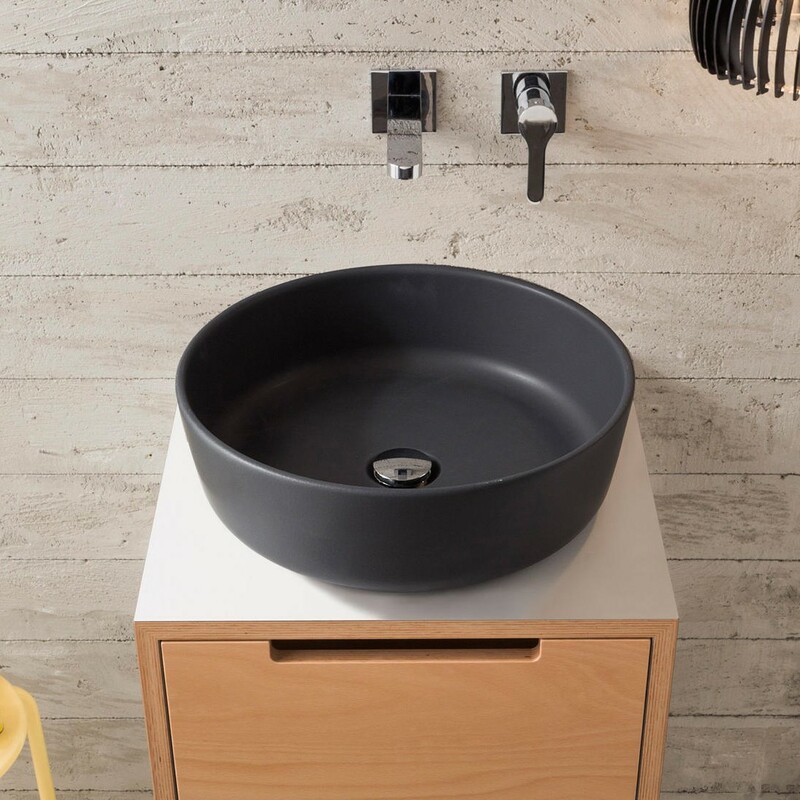 The coloured ceramic washbasins from Berloni Bagno have a new soul, a new feel, matching with new materic and chromatic solutions. 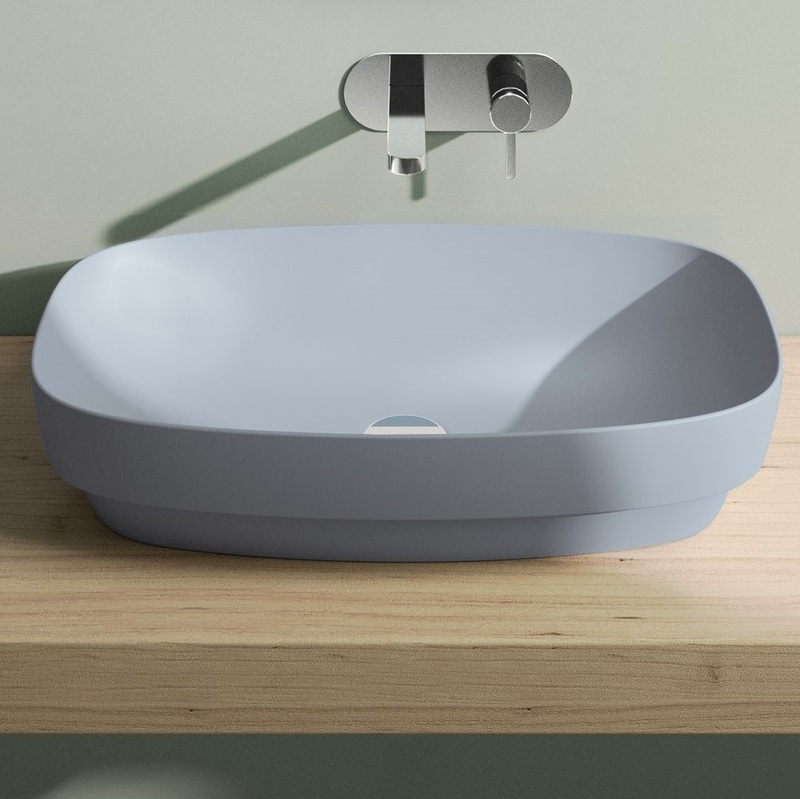 VitrA with their Memoria, Outline & Water Jewels collections have developed a range of basins that allow you to blend comfort & elegance with the warmth of natural textures. 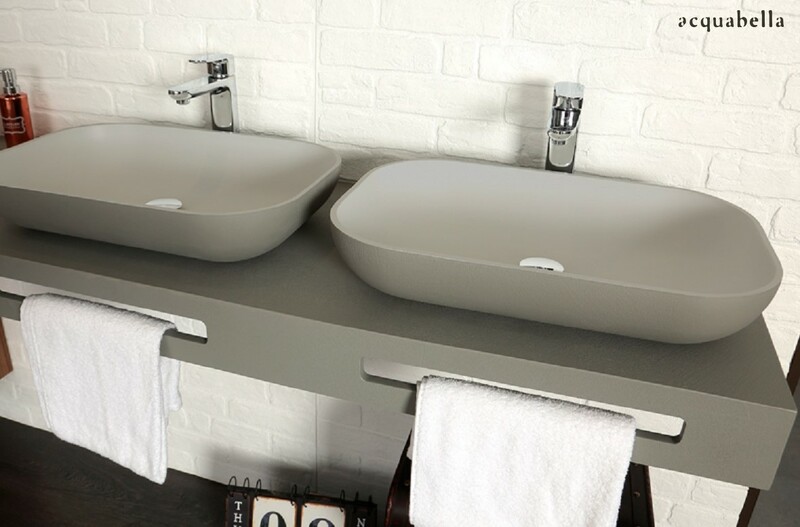 Stunning individual pieces that cater for every type of bathroom setting. 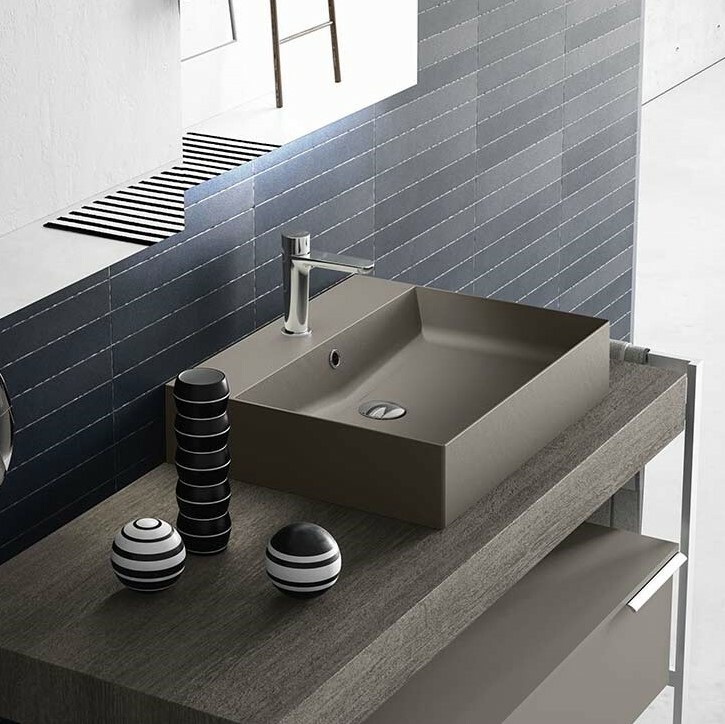 Call into our showroom to get a better understanding of how these modern elegant shower enclosure can enhance you bathroom experience.